As more commuters and enthusiasts trade in their vehicle for two-wheels, the divide between cyclists and drivers continues to grow. Though motorists may become irritated by bikers weaving in and out of traffic or violating laws, cyclists will always be at a greater risk when involved in a collision. Negligent drivers, blind spots, inadequate bike lanes and other infrastructural issues can create hazards regardless of how safe cyclists are when sharing the road. Something as rudimentary as a loud bicycle horn may allow riders to give drivers the warning they may need to prevent an accident. For drivers, loud horns have been able to prevent millions of accidents. Cyclists are not given the same advantage when trying to warn other motorists on the road. According to an interview on WBUR radio, with the “loud bike horn” inventor, the horn is one solution in reducing the number of bicycle collisions involving automobiles. 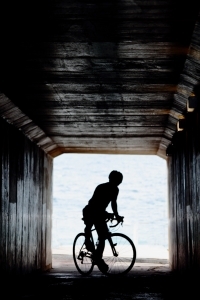 Our bike accident attorneys in Massachusetts are dedicated to protecting the rights of victims. In addition to client advocacy, we are committed to raising awareness to help prevent future accidents and keep cyclists safe. The inventor-engineer designed the loud bike horn based on car horns purchased at an auto parts store. He then bought pipe fittings and attached the car horn to his bicycle and rode around with a car horn, admitting he was amazed at how effective the “loud bike horn” was in warning drivers. Drivers are aware of regular car horns and usually are attuned to their sound when changing lanes, breaking or turning. Given these driver reflexes, they do respond when hearing the sound of a car horn, rather than the muted ting of a standard bike bell. The horn is especially useful in getting drivers to stop when they are backing out of a driveway or if they are signaled to stop immediately when alerted to an oncoming vehicle (or bike). Drivers are more likely to stop when they hear a car horn, rather than a rider yelling, because it takes time before they realize they are actually about to hit someone. And reaction times can be pivotal in cases involving car-bike collisions. According to the inventor, the loud bike horn has been very effective in warning drivers, though usually they are relieved when the sound is not coming from another vehicle. One concern about the loud bike horn is that it does sound like a regular vehicle and it can make drivers confused. Even if the loud horn makes drivers angry, it still has the power to prevent an accident. The engineer inventor has been funded on Kickstarter and is turning his loud bike horn into a commercial enterprise. While bikers can take necessary precautions to prevent accidents, some will still fall victim to negligent drivers. For bikers, the medical consequences can be severe. If you or someone you love has been injured in a bike accident, you may be entitled to significant compensation for medical expense, pain and suffering, long-term care needs, lost wages and any other losses you have personally endured. em>Call the Law Offices of Jeffrey S. Glassman for a free and confidential appointment — 1-888-367-2900. Gas Explosion Illustrates Danger of Aging Infrastructure, Boston Personal Injury Attorney Blog, March 27, 2014.